T-minus one week! It still hasn’t really sunk in yet that in less than 7 sleeps me and a cohort of geoscientists associated with this project from Oregon State University, University of California – Davis, Michigan Technological University, and University of Canterbury will be all traveling to the north island of New Zealand to study the volcanic zone that is responsible for producing thousands of cubic kilometers of eruptive products over the last few hundred thousand years. 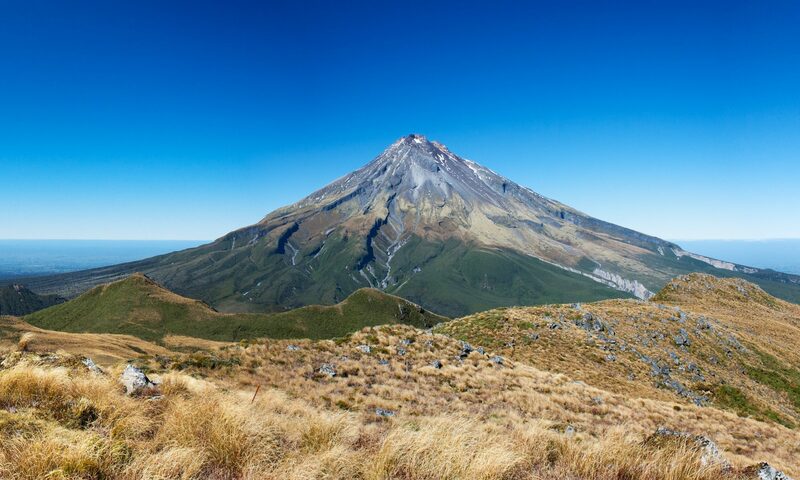 I know for me the following is true, and if the others participating in this venture are similar to me this is most likely a dream come true for a variety of reasons: 1) New Zealand is a destination high on our list of ‘places to visit’ 2) We all are absolutely infatuated with volcanoes and everything that goes with them. We would not have dedicated our lives to studying them if we were not. 3) We are given the opportunity to collaborate with other geoscientists who are not only great at what they do, but great people as well. In science, surrounding yourself with good people is just as important as in other aspects of life. Now that I’ve gotten the giddiness out of the way…with just under a week left there is still a decent amount of work to do up here at Oregon State where Adam, Nicole, and I reside. Because OSU runs on quarters rather than semesters, Nicole and I are frantically finishing up classwork, although admittedly, she has a higher hill to climb than I do in this regard which is why I’m writing a blog post and she is working on a term paper for her Quaternary Stratigraphy class. I have to finish my TA responsibilities with my Mineralogy class. Adam ‘won the lottery’ and is the Geology and Geophysics Program Head this year, and as such probably has that and other professor responsibilities that I don’t even know exist. All this being said, we are headed in the right direction and are exactly where we need to be. The flights have long been booked, field notebooks and sample bags have been purchased, itinerary has been sorted (thanks Chad and Darren), transportation to and from the airports planned out, and everyone has a full supply of excitement that should be more than enough to last the entire campaign. Planning a trip to do field work on another continent is no small feat, but with enough collaboration and foresight everything gets accounted for. Simply put: We aim to find constraints on the thermal history of pre-eruptive magma storage (how does magma hang out in the subsurface) and how does the composition of melts vary from eruption to eruption? It is very young and also extremely active. Due to this, the system provides an excellent opportunity to observe, in high resolution, how caldera forming eruptions evolve through space and time. Because it is so active, the Taupo Volcanic Zone can provide us with ample data in the form of samples, and in this regard, we are only limited by what we can carry. The proposed work we are planning to do will produce arguably the most detailed series of crystal-geochemical studies on caldera-forming silicic magma systems ever conducted and I am beyond proud to be associated with it. Through these posts we aim to give you, the reader, a glimpse of what life is like as a geologist in the field, lessons on how to conduct good field work, insight as to what the term ‘good field work’ even means, pretty pictures of all things New Zealand, inevitable hilarity that ensues from spending too much time in the field, and perhaps, most importantly, evidence that science and society can/should happily coexist for the benefit of all. Thanks for joining us on this journey, and stay tuned for more! Rock on young people. Good luck! !